The season is getting dryer and dryer, and now it's time for fights! Male hippos are going to war over territory and mates. The combatants can weigh two tons; it's a tail-biting clash of the titans. 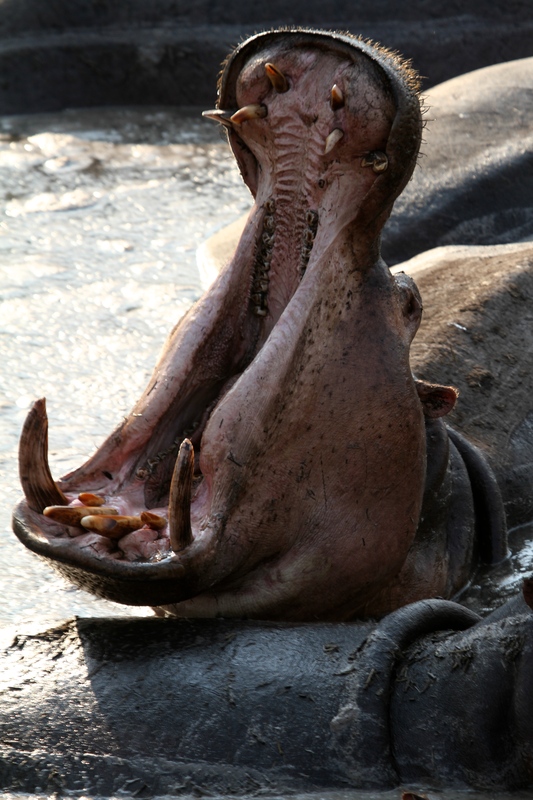 Hippos mostly rest or sleep in the day, lying out on the river bank and taking a dip to cool down or avoid any danger. After dusk it's a different story. Searching for grass to graze they will often cover large areas along the bank and wander several kilometres away from the water. Than back to Mud Mud, Glorious Mud! Not easy life! Specially for those little kids finding a way in between those giants! !